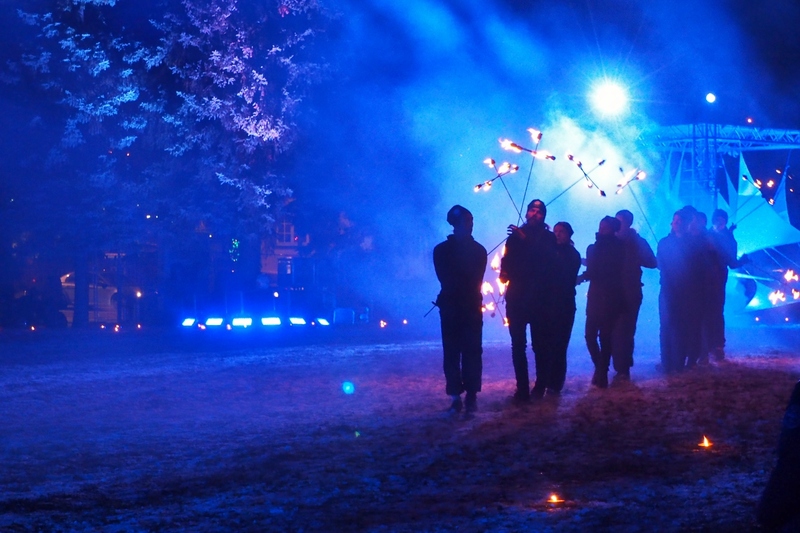 I hope you’ve had a very good start for 2018. Here in Finland, the new year meant the closing of the centenary festivities of our independence. 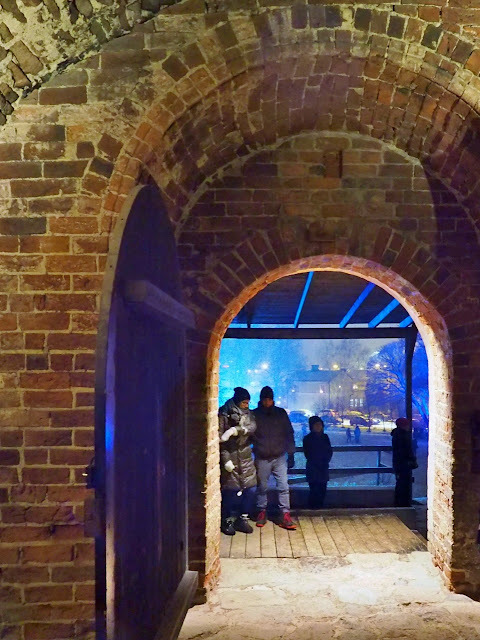 The year 2017 was filled with all kinds of events and happenings observing the landmark. 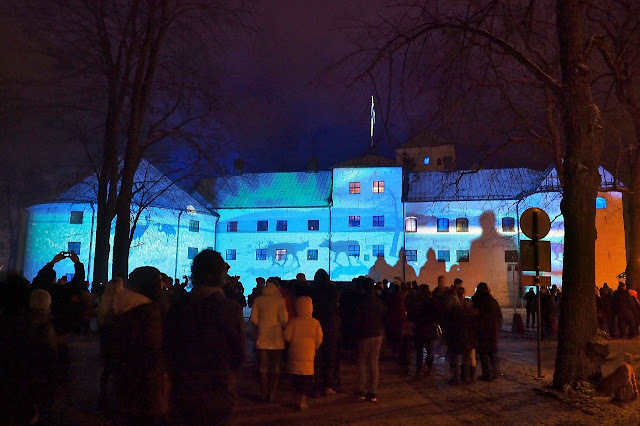 Yet many celebrations both at home and abroad took place in early December just before or on our Independence Day the 6th. 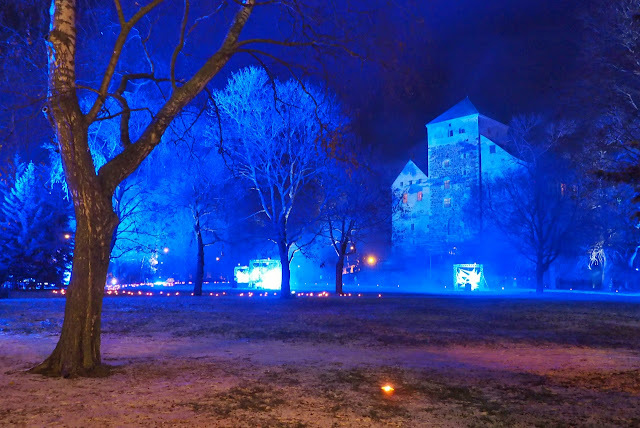 Numerous monuments, buildings and natural sites around the world were illuminated in the blue and white colours of our flag, such as the Colosseum, the Niagara Falls, the Empire State Building, the Christ the Redeemer statue in Rio de Janeiro, etc. 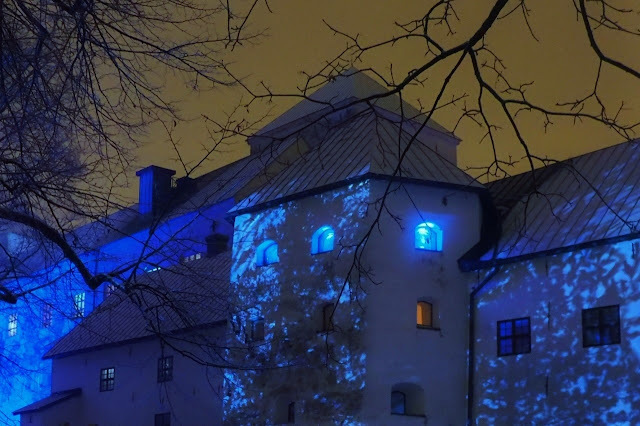 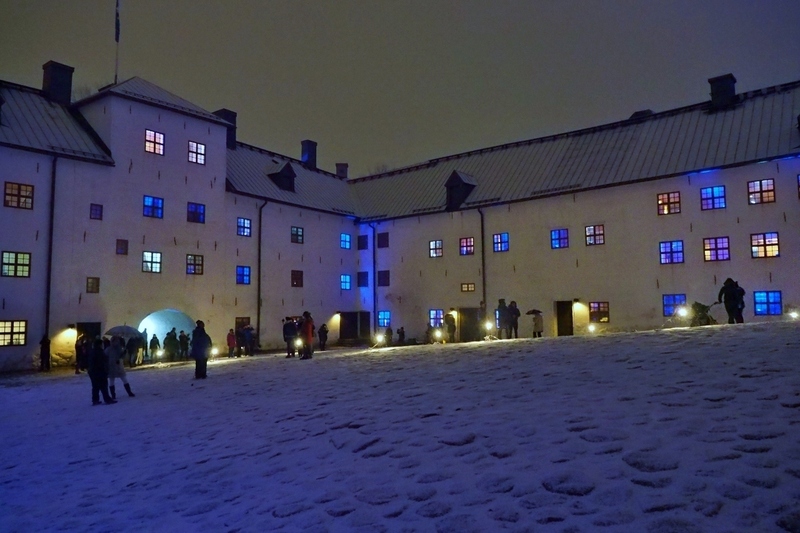 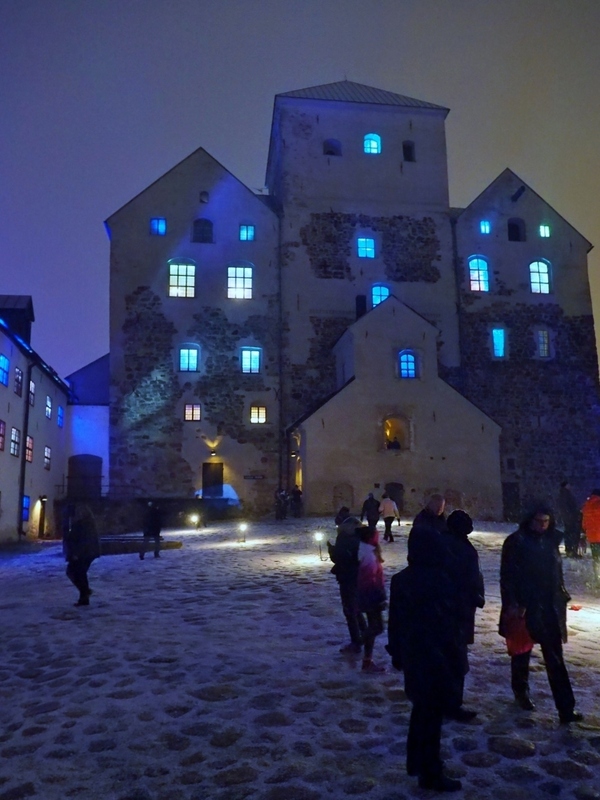 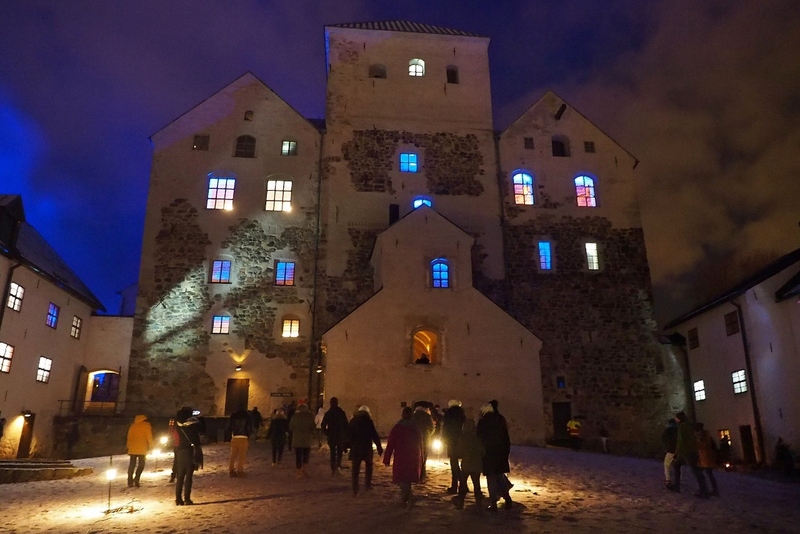 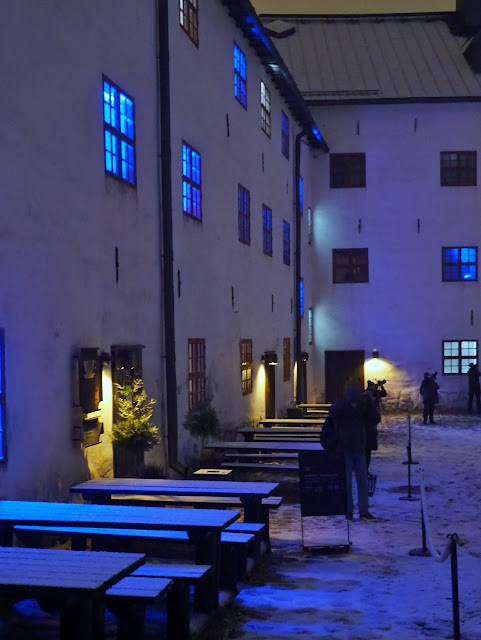 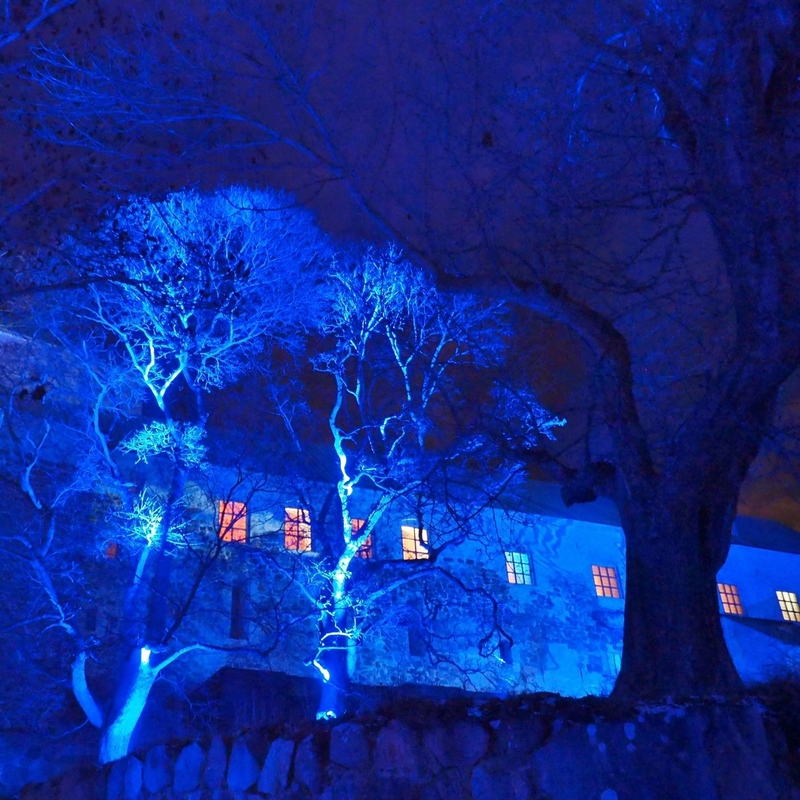 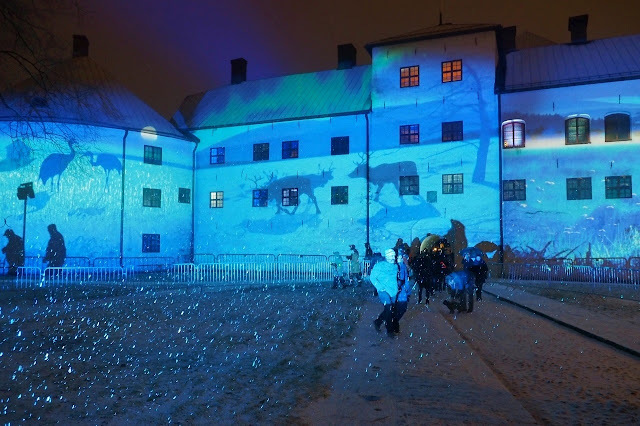 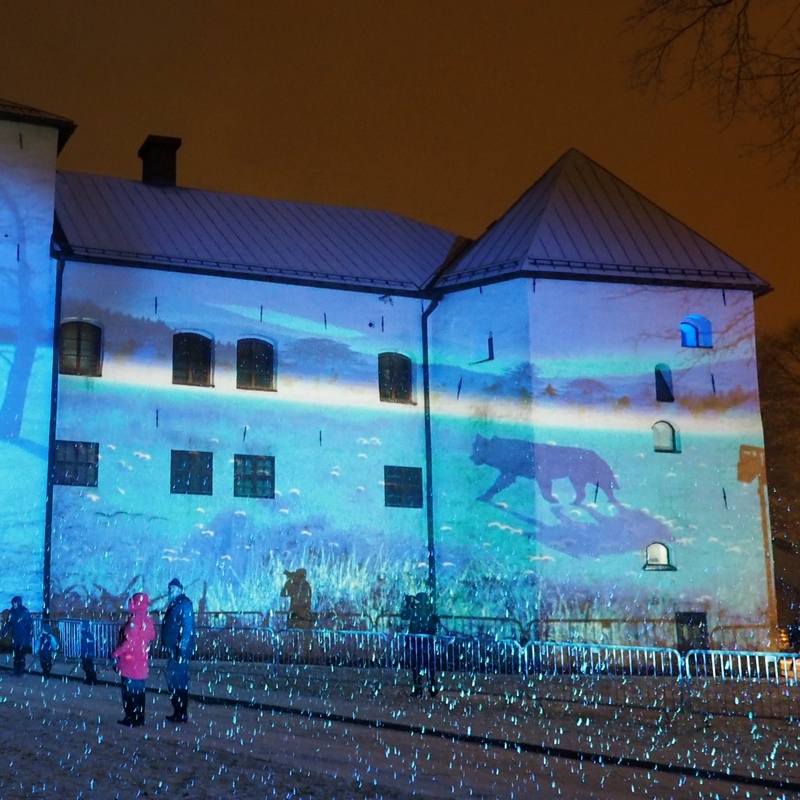 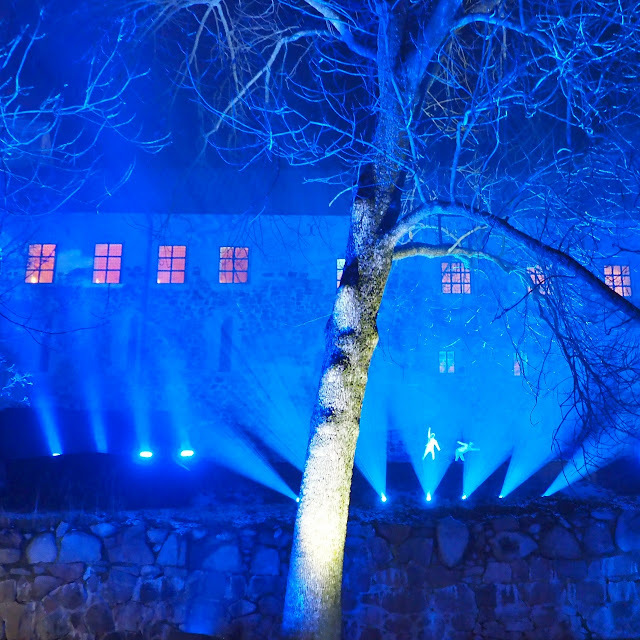 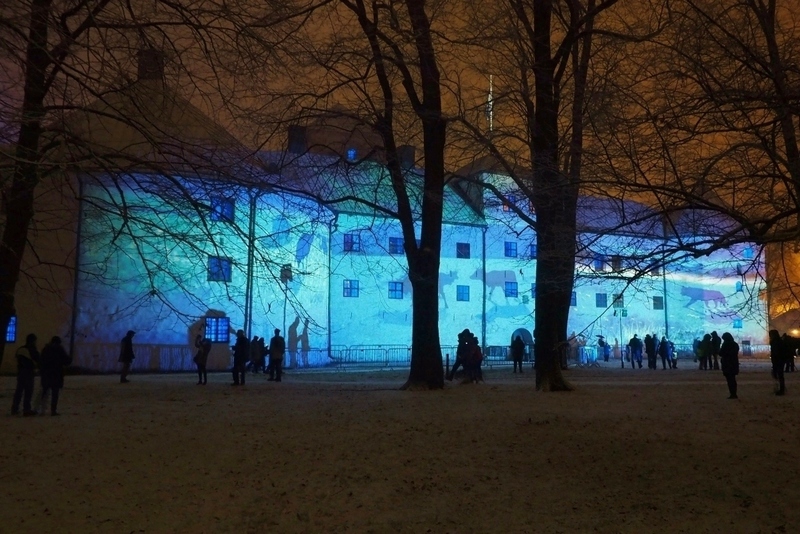 A unique Luminous Finland 100 light art tour was also arranged domestically lighting up several historical and natural sites, such as the Olavinlinna Castle in Savonlinna and the Saana fell at Lapland’s Kilpisjärvi. 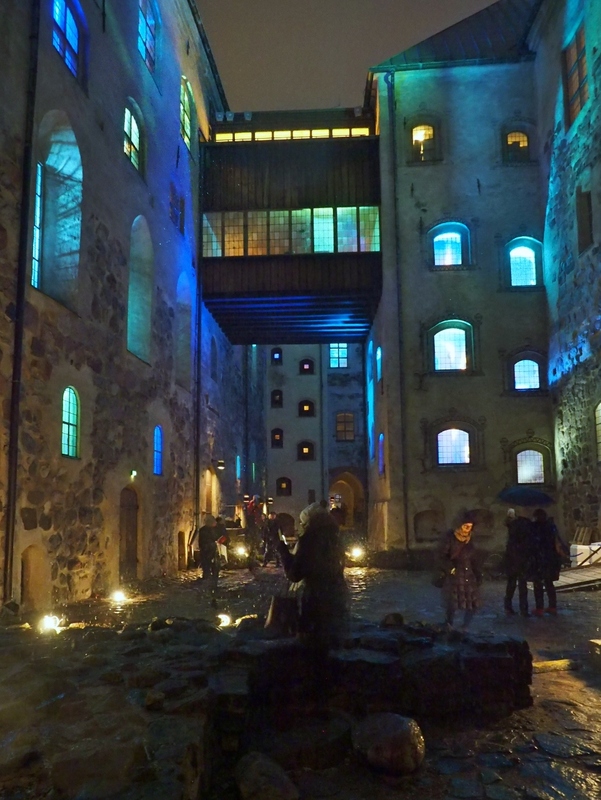 Most appropriately, the tour culminated in our beloved Turku, the oldest town in the country believed to have been founded almost 800 years ago. 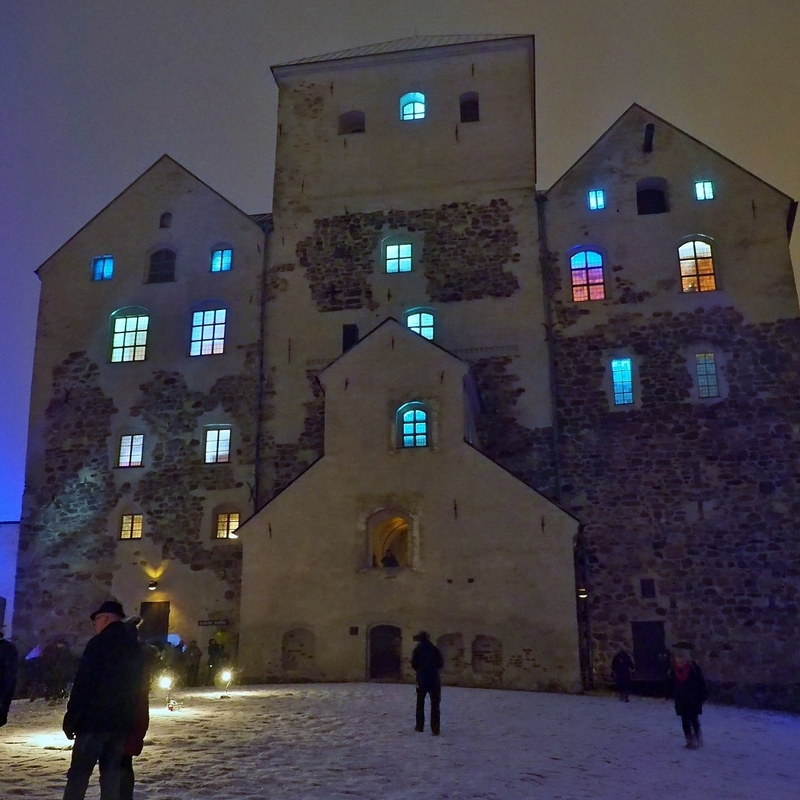 And naturally, the venue was the Turku Castle, one of the oldest surviving buildings in the country. We went to have a look at the lit castle on the first night. 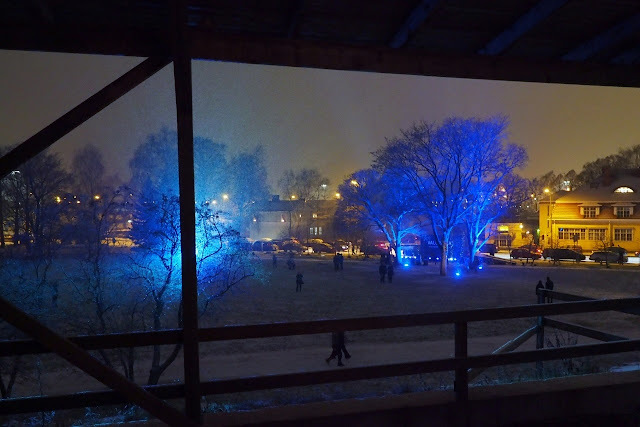 As if on cue, some slight snowfall started the very night painting the act all the more magical. 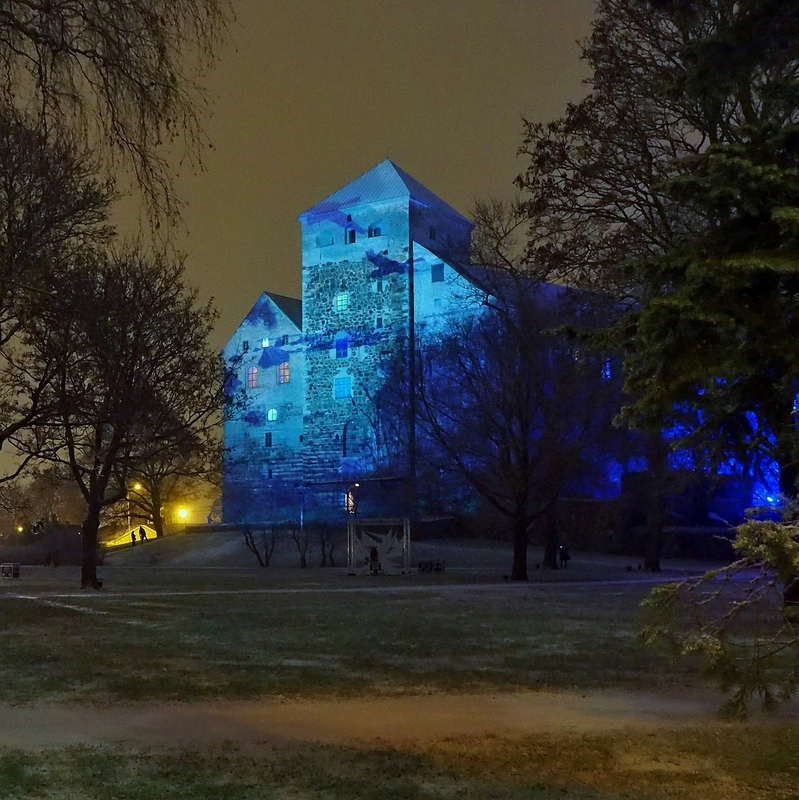 By the entrance, scenes of winter landscapes with a few wild animals were projected onto the walls of the Renaissance bailey. 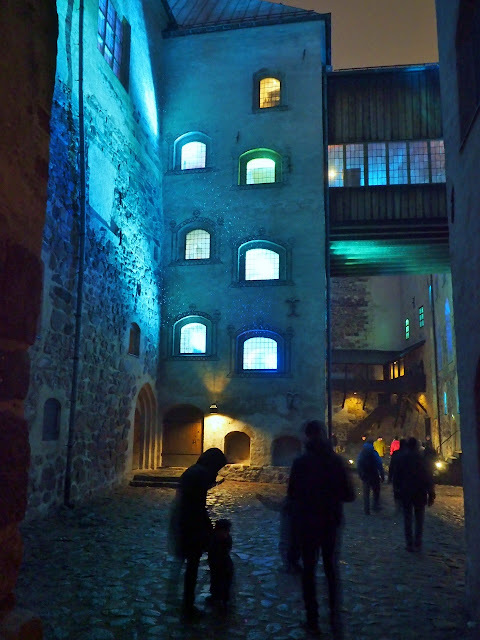 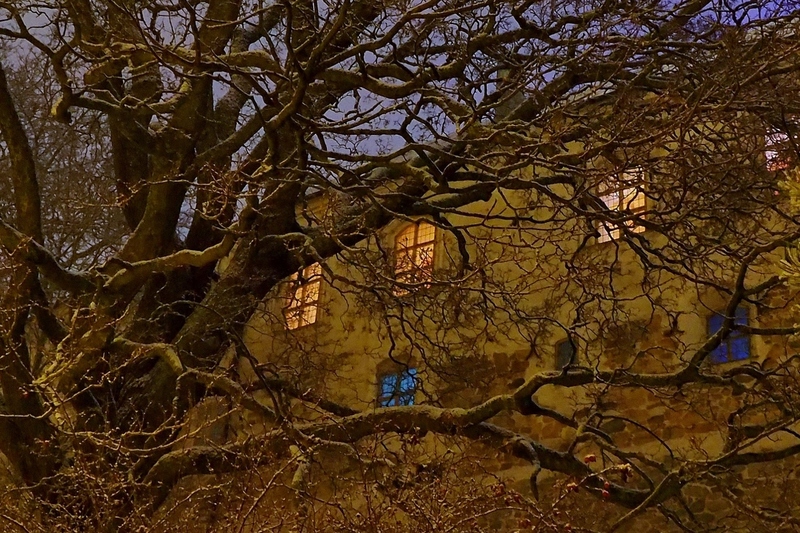 The windows around the courtyard were shimmering in changing colours. And so were those of the medieval main castle and of the towers at both ends of its courtyard. 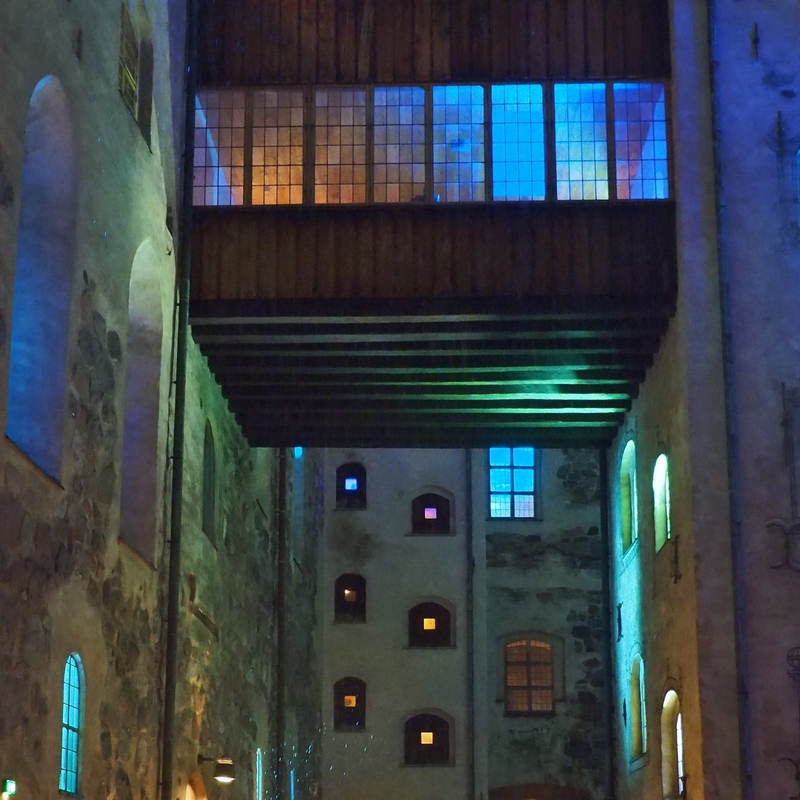 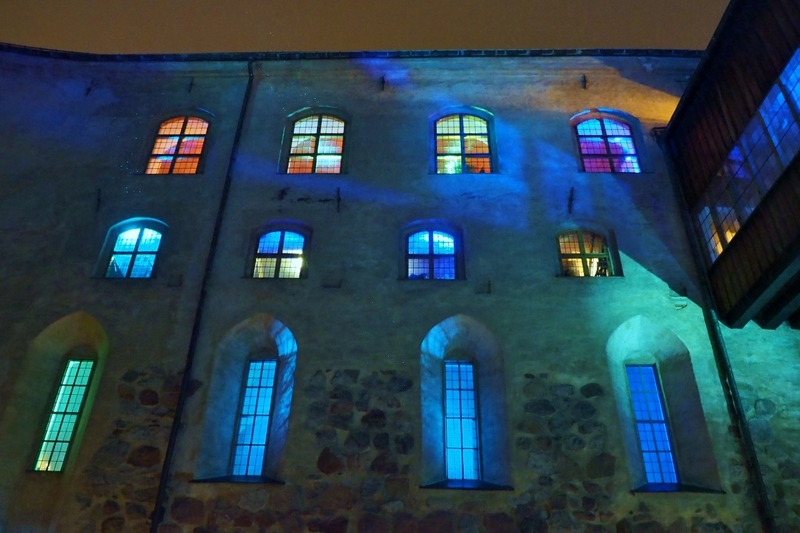 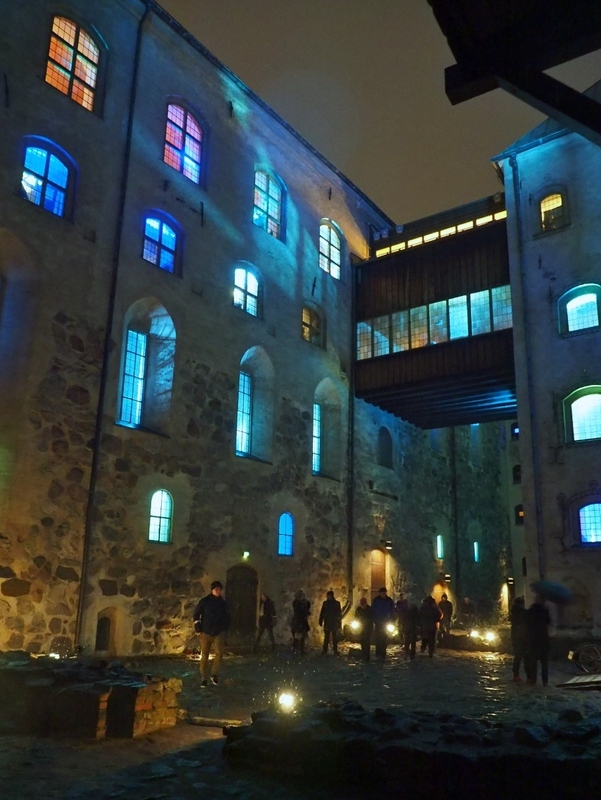 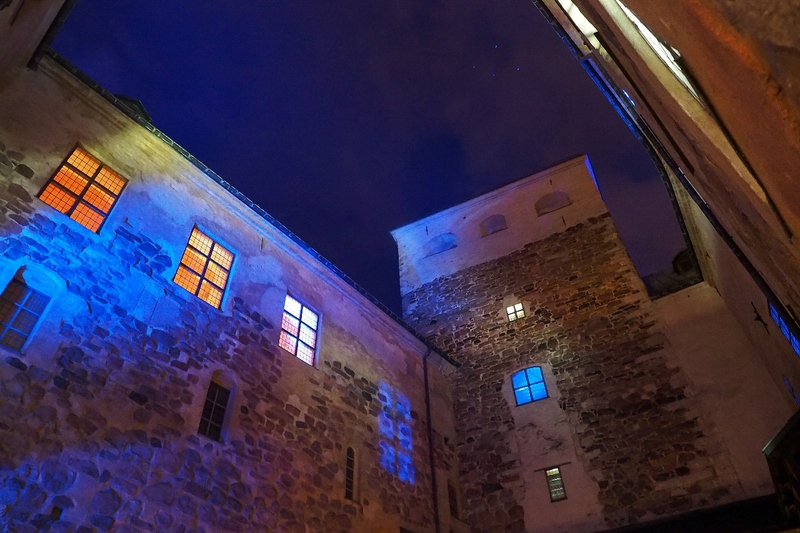 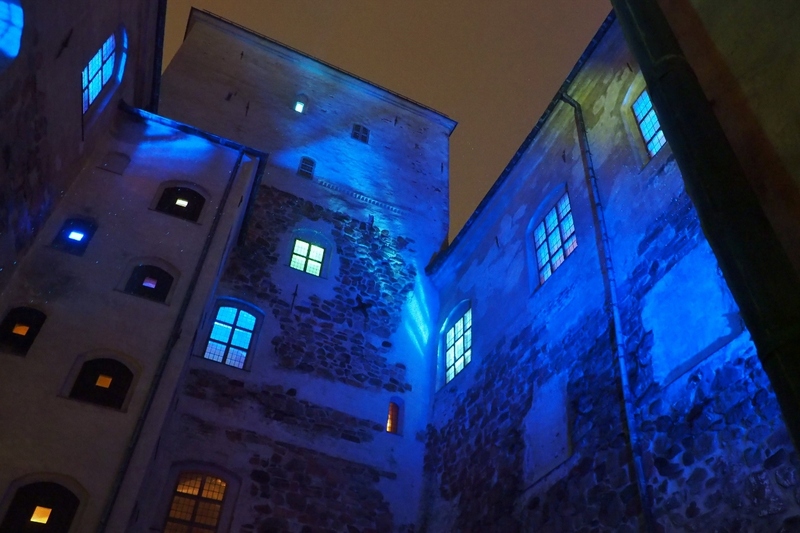 Light artist Kari Kola had turned the old stone structures with the old-style, although renovated, windows mesmerisingly beautiful. Some of these photos will definitely be on my Christmas greetings cards next time. That night, access to the park in front of the main castle was denied because of preparations of a production for the second night. 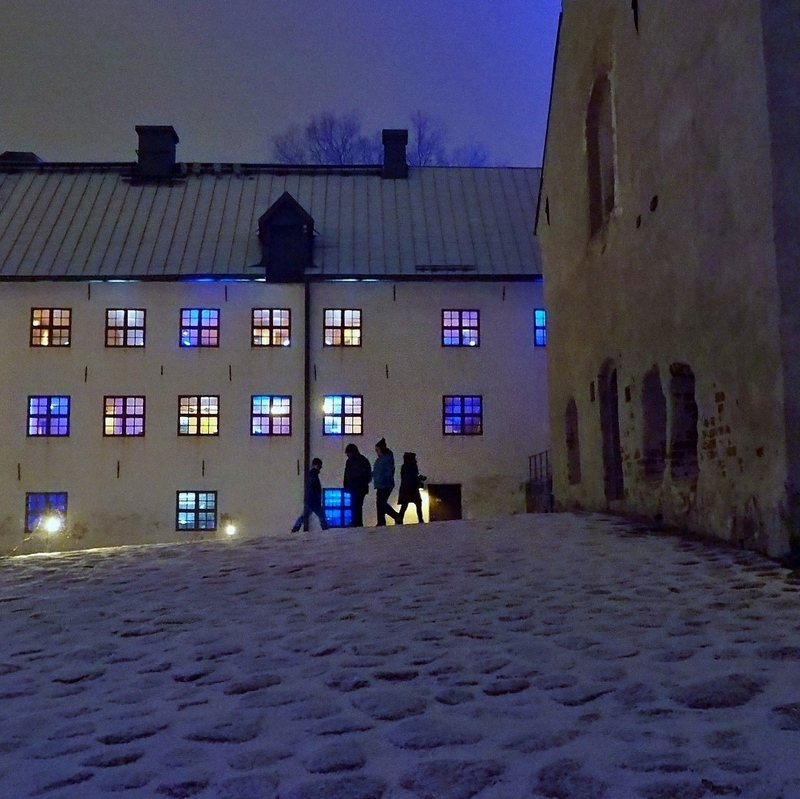 Despite the minus degrees I walked around the fenced area admiring the colours and marvelling the fresh snow. We haven’t seen much of that this winter. 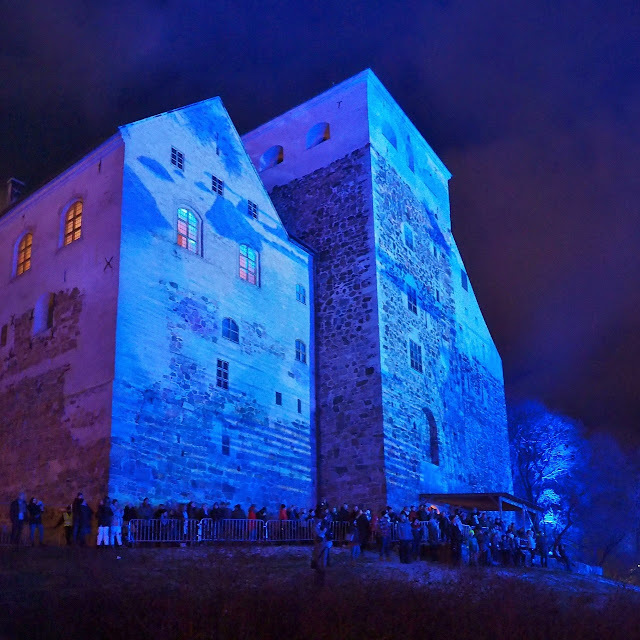 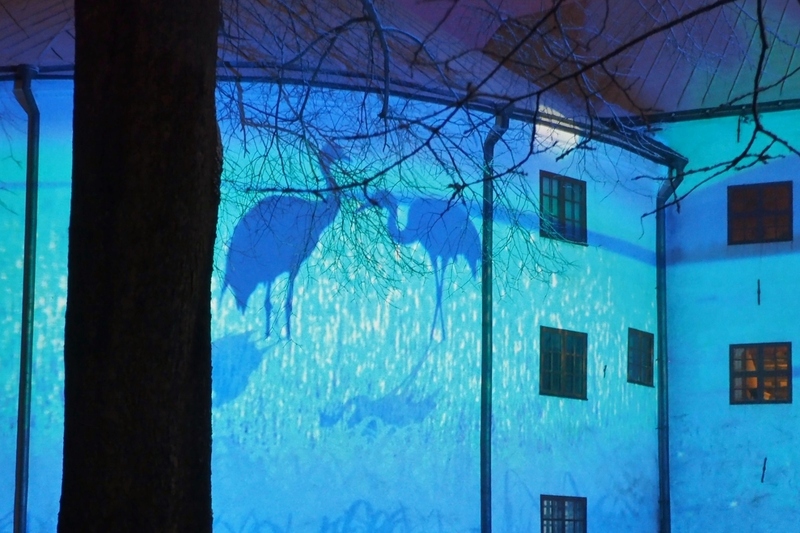 The facade of the main castle was decorated with a projection of a delightful summery seascape with two swans flying over it. 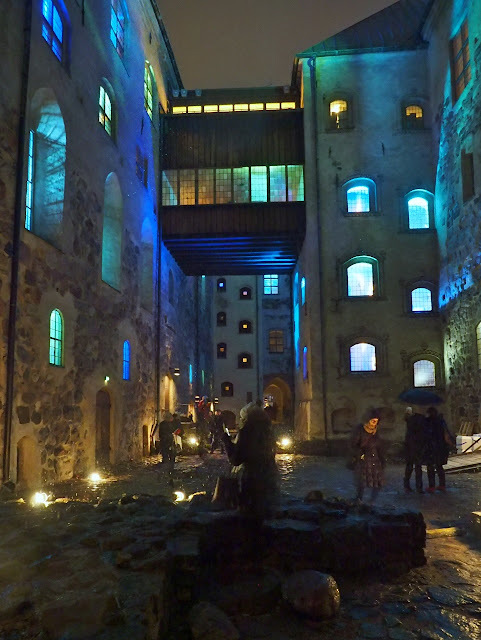 I returned the second night for the grand finale. 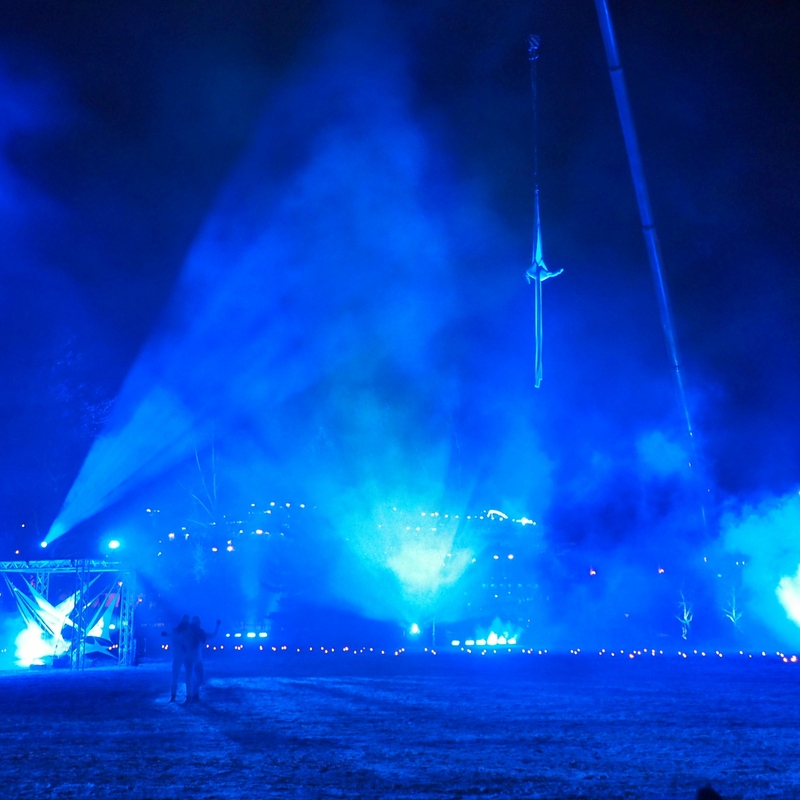 It being the Independence Day it offered not only a walk through the courtyards of the colour-lit castle but also a five-hour nonstop spectacle of light, sound, dance, fire and acrobatics at the park with an ensemble of dozens of performers. The show titled ‘The Nature of Finland’ was designed and directed by the local circus artist Antti Kulmala, in collaboration with choreographer Iina Ahola and sound designer Ilmari Tiitinen. 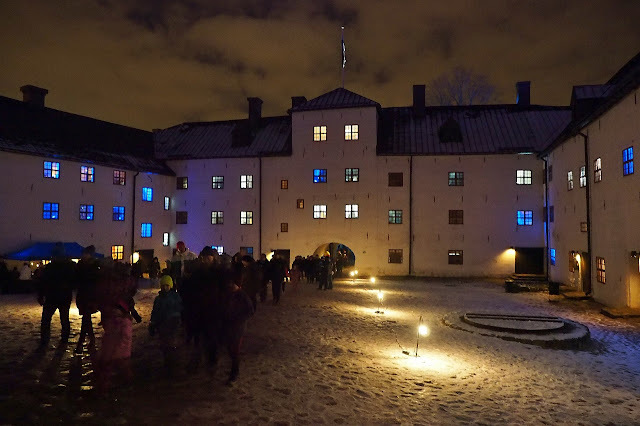 As the weather felt freezing many people hadn’t followed the advice to arrive by public transport disturbing the traffic flow, not to mention the experience at the courtyards. 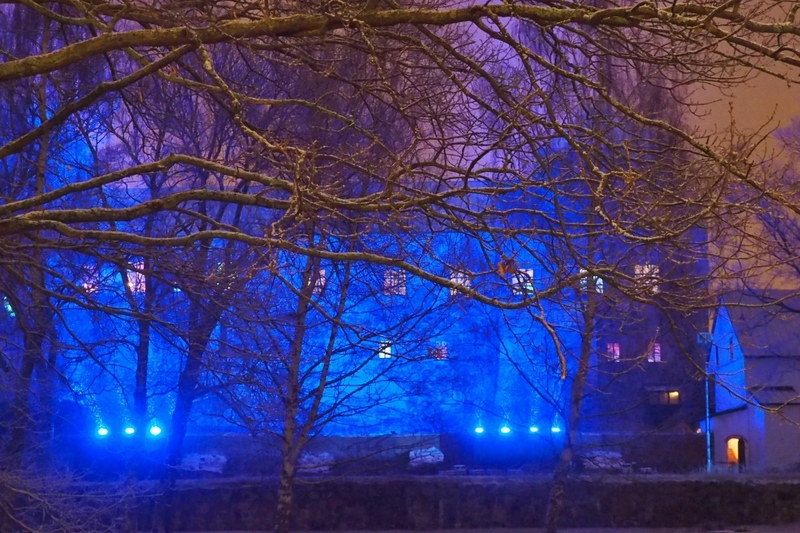 I was very pleased we had paid the visit the first night as mass events most certainly aren’t our cup of tea, especially in hubby’s case. 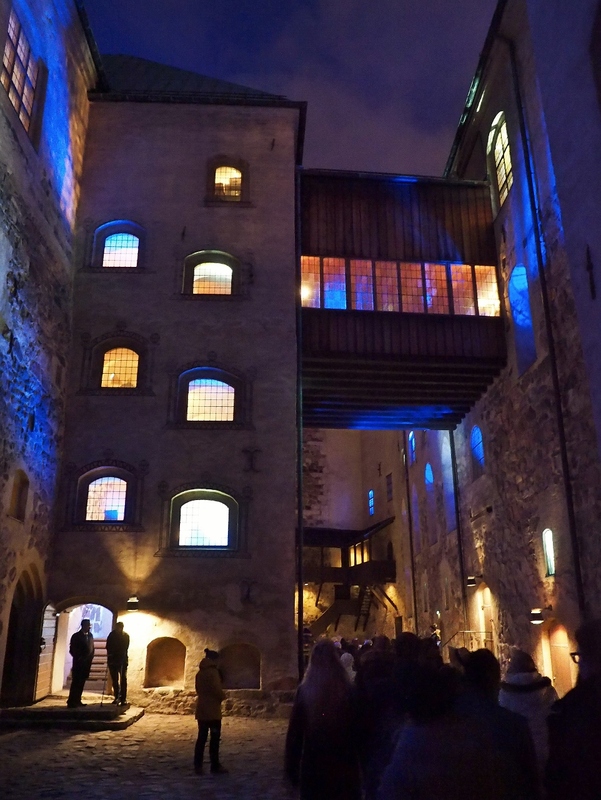 I stayed for an hour or so and actually chatted with a couple of fellow spectators managing to make it a memorable shared experience after all. 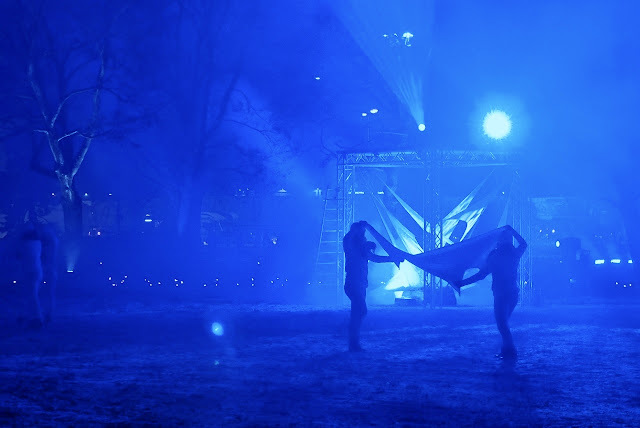 Thank you and all the best to you and yours. 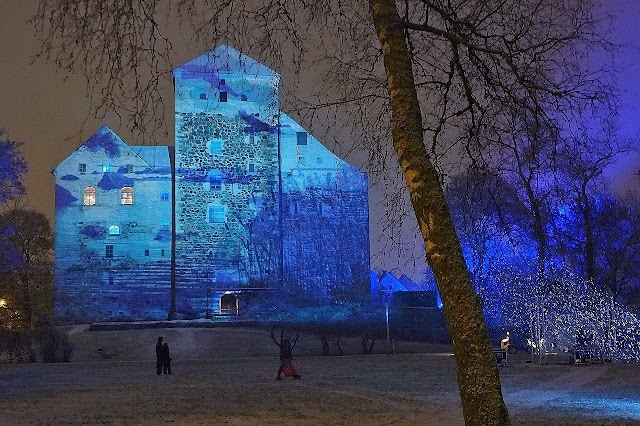 Fascinating, beautiful, and creative photos - love them. 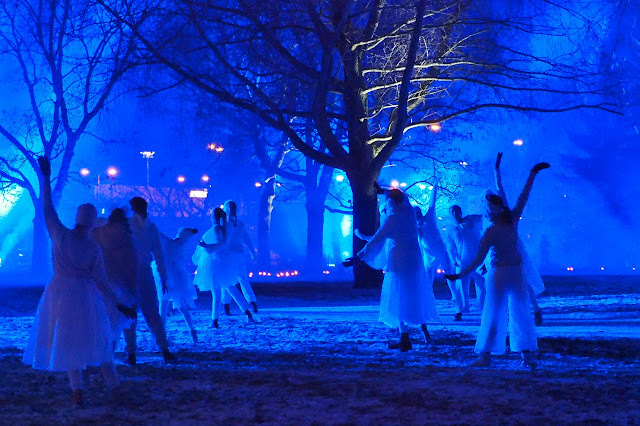 Thank heavens we have a very active cultural scene in this town. 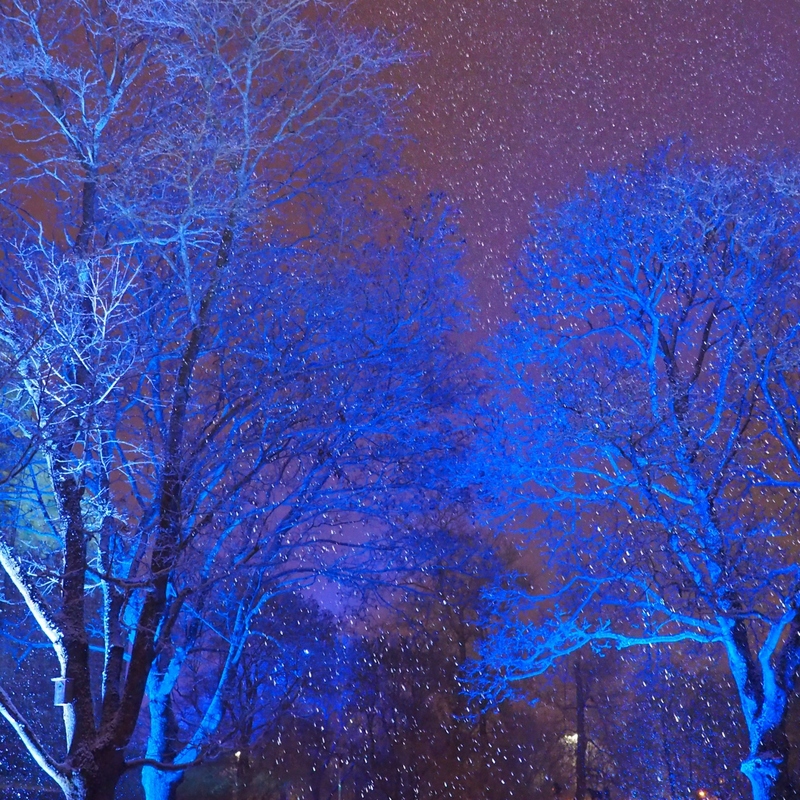 How could we ever survive through the mostly snowless winters otherwise. 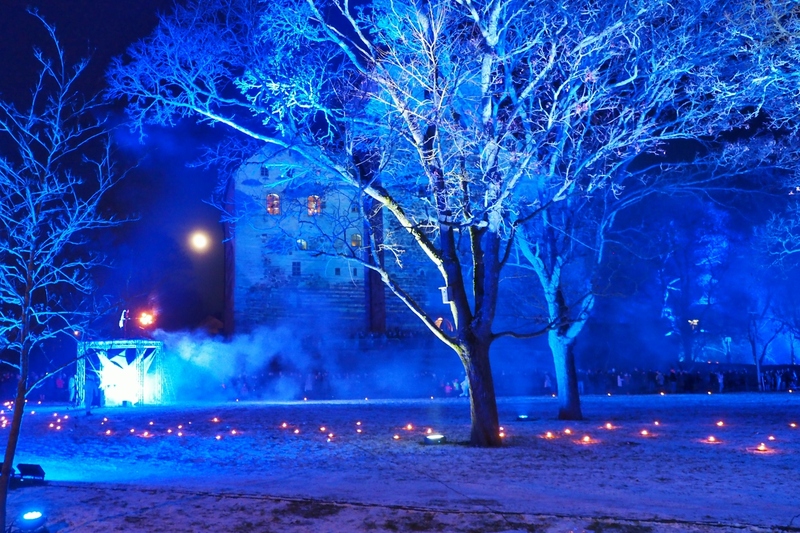 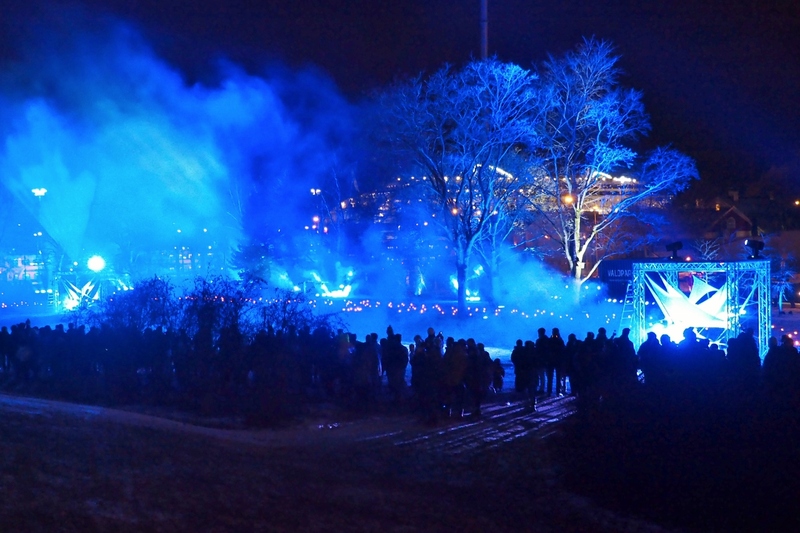 Actually, this was a one-off in Turku and not in Helsinki where they arrange the Lux Helsinki event annually. I had to skip the Helsinki event this time because I attended the first ever African Fashion Festival in Helsinki with by daughter the night the light show started but only stayed for one night. 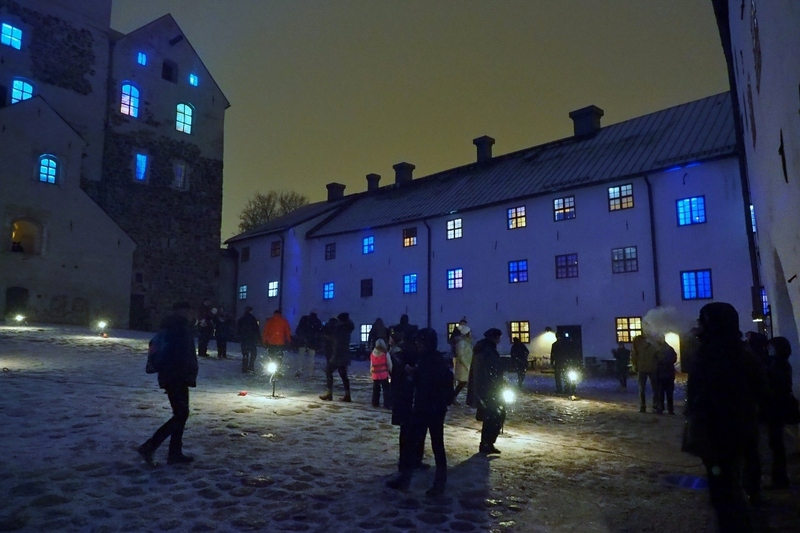 It was a most delightful event! 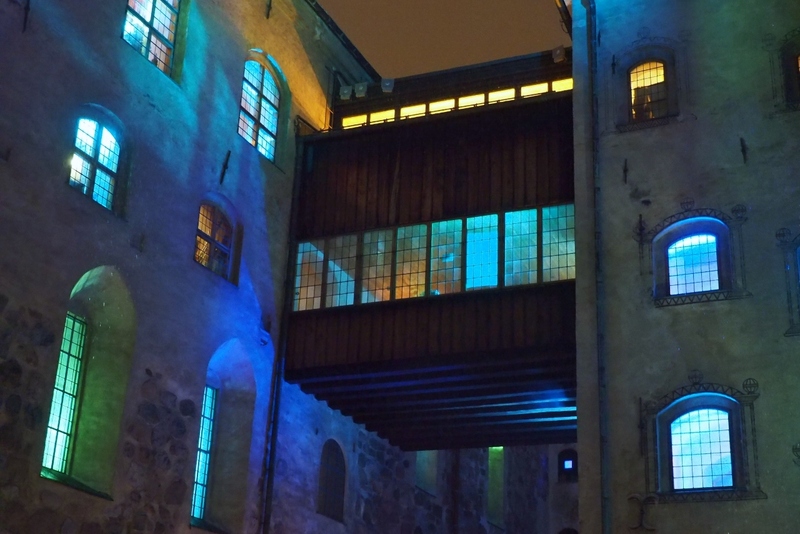 We loved the colourful fashion of local African-born designers.